An absolutely amazing work of art in progress. There is so much detail in every single inch of the church, it would take at least a week to really learn about the details that are built within the stone. I wouldn't call myself a religious person but I definitely appreciate all the effort that has been put in and is still being put into the architecture. Sagrada familia is amazing, breathtaking!! LOVE old churches! These are great pics! Amazing building! I last visited about 10 years ago. Hi! Thank's for your visit in my blog :) i follow u! 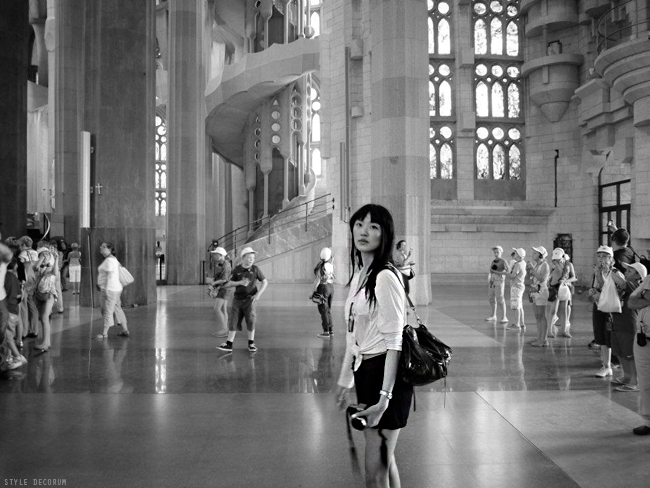 I was in Barcelona & in the Sagrada Familia, too !!! Glad you like my country! the ohotos are beautifu!! and I like your outfit very much!! I love old churches and that's a great one! Love the black and white pictures! Love those pics and how you look in the last one ! Wow! Nice architecture indeed! And woot! Lovely clothing! Looks comfy! 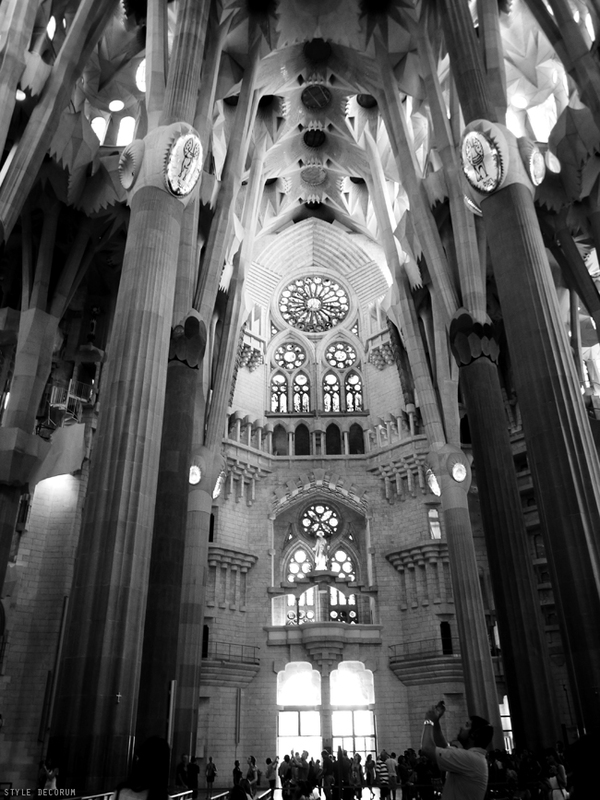 Wow I love Sagrada Famiglia too and these pictures are truly amazing!! You look so beautiful!! And the choice of B/W is perfect for this set! Such beautiful light and interesting point of views! I really love this photoshoot! There is not any more playing around being a chicken having its head cut off payday loan you can list your items for a small fee and sell it for a high income.